The guy was actually nonpartisan! This book in Schieffer's own voice reminds me of an octogenarian client of mine from a few years ago --- self-assured, very talkative, sweet, old. A pleasant enough -- if sometimes wordy and light on substance -- palate cleanser between heavy novels. Interesting, well-written reflections on American history, politics, and various current events. I really liked Bob Schieffer's writing style. Bob was a long time reporter, best known on CBS TV. He complains a lot about the venality of politics in America. Which is fine except that Bob is part of the problem when he praises Reagan for his wit and charm but totally misses what Reagan was saying, namely that government was the problem. Of course, we now know that Reagan was the problem.You'll save a lot of time if you just skip to his 'afterward' where he sums up his point of view. As Dorothy Parker would say - the covers of this book are too far apart. I enjoy Bob immensely on FTN, and really liked this book, too. It was like a visit with an old friend. Bob's common sense is in short supply these days. Not all of this book is about politics. He writes about the things that interest him. A good reporter must be curious, and Bob has never lost his sense of wonder. As Bob said when he finished the biography of John Adams,I hated for this book to end. I'm going to miss the guy. A rather nice, but not weighty, collection of Schieffer's essays over the years. These are very brief, close-of-the-broadcast commentaries that reflect his view on a wide variety of subjects -- politics, society, popular culture, etc. Schieffer is the kind of guy you don't see much on television anymore: someone you'd like to work with, or just have a good conversation with. Bob Schieffer's voice resonates with me. He is a natural story-teller with "tough-talkin' Texas twang" that I find irresistible. His essays are short and easy to read, and I found that I laughed out loud at some of them. Lets be fair, Bob Schieffer's a pretty smart dude. He's been up to his neck in the political muck of DC for a while and knows a thing or two about how things work in this here nation. A very insightful work, and timely (even when what he was writing about was 20 or 30 years ago...). These are some of his essays that he reads at the end of the Sunday morning show - I think I enjoy listening to him better than reading the essays. Some were dated and others too repetitive. I'm glad I picked it up but it didn't keep my attention. 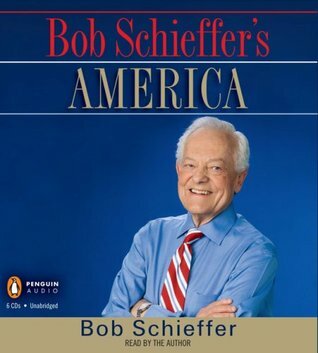 This book is a compilation of some of Bob Schieffer's commentaries that he gives at the end of Face the Nation. Really well organized with some humorous stories. Great book when you don't have a lot of time to read, as each commentary only takes a couple of minutes to read. He is my favorite journalist/anchor. This is a collection of comments and very short stories about his experiences over the last 4 decades. He is a bit preachy, but something to listen to in the car. This was a good train/plane read. Short, folksy essays written by a reporter I actually respect. His commentary from years of "Face the Nation"
a collection of essays on politics and life in general. and they are well written and prove everything changes but nothing changes. Bob Schieffer - Bob Lloyd Schieffer is an American journalist who has been with CBS News since 1969, serving 23 years as anchor on the Saturday edition of CBS Evening News from 1973 to 1996; chief Washington correspondent since 1982, moderator of the Sunday public affairs show Face the Nation since 1991, and, between March 2005 and August 31, 2006, interim weekday anchor of the CBS Evening News.Schieffer is one of the few journalists to have covered all four of the major Washington national assignments: the White House, The Pentagon, United States Department of State, and United States Congress. His career with CBS has almost exclusively dealt with national politics.Schieffer is a survivor of grade III bladder cancer; he was diagnosed in 2003 and is currently cancer-free.In 2004, he was the moderator of the third presidential debate between President George W. Bush and Senator John Kerry. On August 5, 2008, it was announced that Schieffer will also moderate the third presidential debate in 2008 between Senator Barack Obama and Senator John McCain.